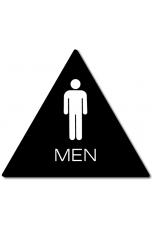 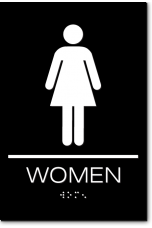 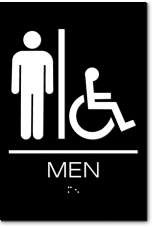 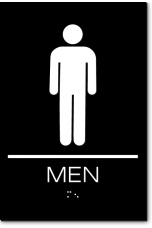 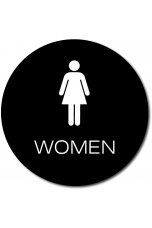 The Restroom signs shown below meet all State of California ADA compliance requirements. 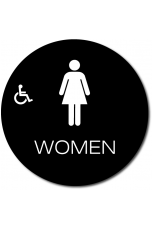 - a DOOR SIGN for California Title 24 VISUAL requirements. To find the required matching sign options, see the 'Related Products'. A State of Califonia ADA-compliant sign made from durable, vandal-proof, high-impact CAD-cut acrylic. 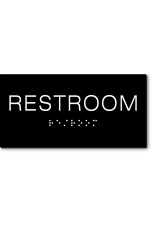 Available in five stock..
A State of California ADA-compliant sign made from durable, vandal-proof, high-impact CAD-cut acrylic. Available in five stoc..
An ADA-compliant California DOOR sign made from durable, vandal-proof, high-impact CAD-cut acrylic. 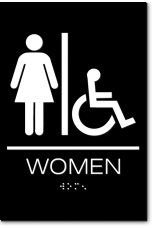 Available in five stock c..
An ADA-compliant California DOOR sign made from durable, vandal-proof, high-impact injection-molded styrene. 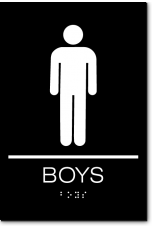 Available in blu..